Chinook fishing in the upper Salmon River has slowed considerably over the past couple of weeks, as has the number of fish entering the Pahsimeroi Hatchery. Over the past week, angler effort dropped to a weekly total of 142 hours, with 2 fish caught and released, and 0 fish reported harvested (see table below from Jon Hansen and Brent Beller). In the week prior, we observed 340 hours of angler effort and 8 Chinook harvested. The number of fish coming in to the Pahsimeroi Hatchery has also dropped (see table below). 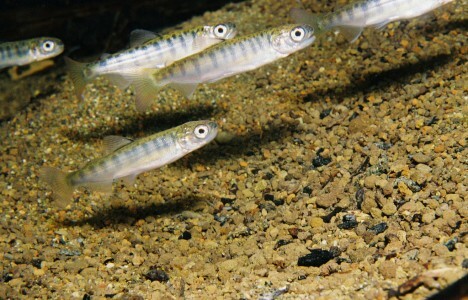 To date, the season total is 864 hatchery Chinook salmon (782 adults + 82 jacks). Fish will continue to trickle in, but the bulk of the run is now in the hatchery. Based on this, and the requirements of our federal permits, the upper Salmon River Chinook season will close this Sunday night (8/12/18) at the end of legal fishing hours. See the press release here: https://idfg.idaho.gov/press/springsummer-chinook-seasons-ends-fall-chinook-starts-aug-18.